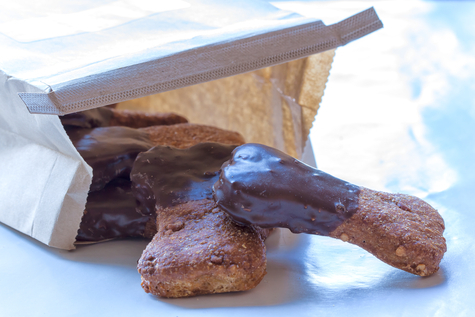 The smaller bags of our best-selling peanut butter bones were selling too fast, so we made you a bigger bag! 1 pound bag of peanut butter flavored bones with peanut chunks dipped in carob. We bet you'll still get through them faster than any other treat! The smaller bags of our best-selling peanut butter bones were selling too fast, so we made you a bigger bag! 1 pound bag of peanut butter flavored bones with peanut chunks dipped in carob. We bet you’ll still get through them faster than any other treat!